Our creative team of architects and interior designers understand how to minimize the separateness between interiors and outdoors via elements such as large windows, creating light-filled and airy spaces. 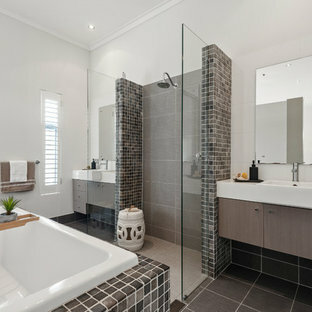 Master Ensuite as displayed at The Address Estate, Point Cook. Specific to this photo: A view of our vanity with their choice in an open shower. 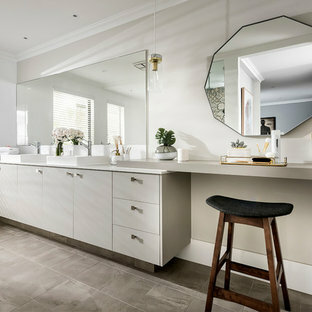 Our vanity is 60-inches and made with solid timber paired with naturally sourced Carrara marble from Italy. 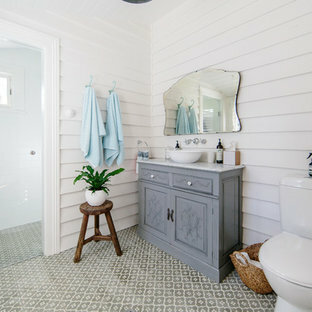 The homeowner chose silver hardware throughout their bathroom, which is featured in the faucets along with their shower hardware. 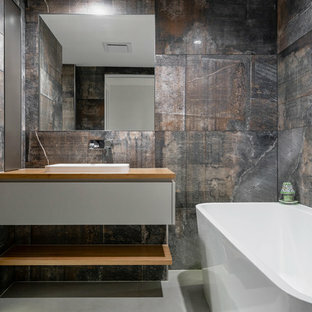 The shower has an open door, and features glass paneling, chevron black accent ceramic tiling, multiple shower heads, and an in-wall shelf. 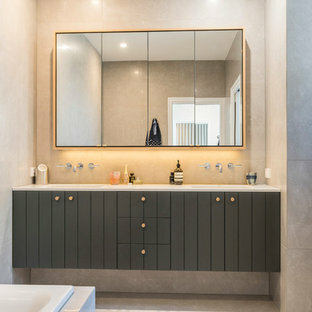 This bathroom was a collaborative project in which we worked with the architect in a home located on Mervin Street in Bentleigh East in Australia. 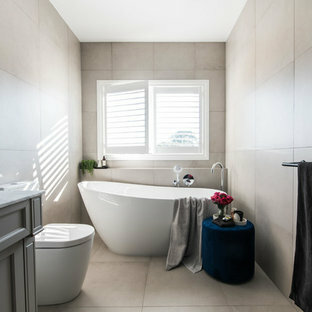 This master bathroom features our Davenport 60-inch bathroom vanity with double basin sinks in the Hampton Gray coloring. The Davenport model comes with a natural white Carrara marble top sourced from Italy. 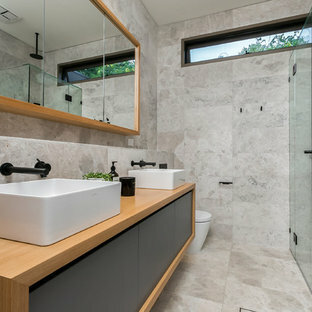 This master bathroom features an open shower with multiple streams, chevron tiling, and modern details in the hardware. 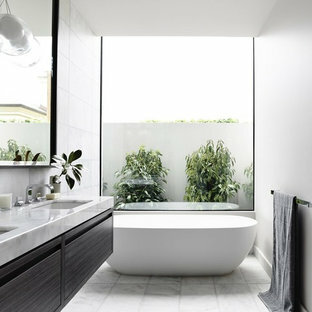 This master bathroom also has a freestanding curved bath tub from our brand, exclusive to Australia at this time. 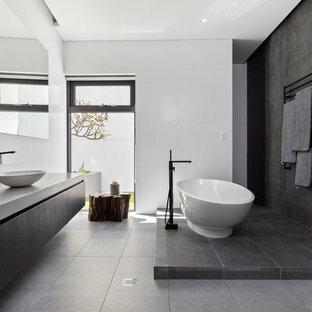 This bathroom also features a one-piece toilet from our brand, exclusive to Australia. Our architect focused on black and silver accents to pair with the white and grey coloring from the main furniture pieces.